has over 30 year of Automotoive Repair Experience. 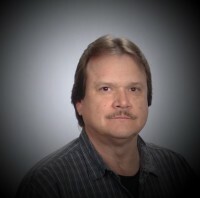 Scott Graduated from Wake Technical College with a Diploma in Automotive Repair in 1985. He worked at UPS until 1995 servicing a fleet of around 30 package cars. For a couple of years, he purchased and rebuilt wrecked vehicles. In 1999, He opened Goodin's Auto Repair at 530 A Cook Street, Wendell, NC 27591. Scott believes in treating his customer like he wants to be treated. He doesn't try to sell you parts or services that you don't need. Scott's wife. Bookkeeping and helping in the shop as needed.